This post is sponsored by Not Perfect Linen, but the content and opinions expressed here are my own. 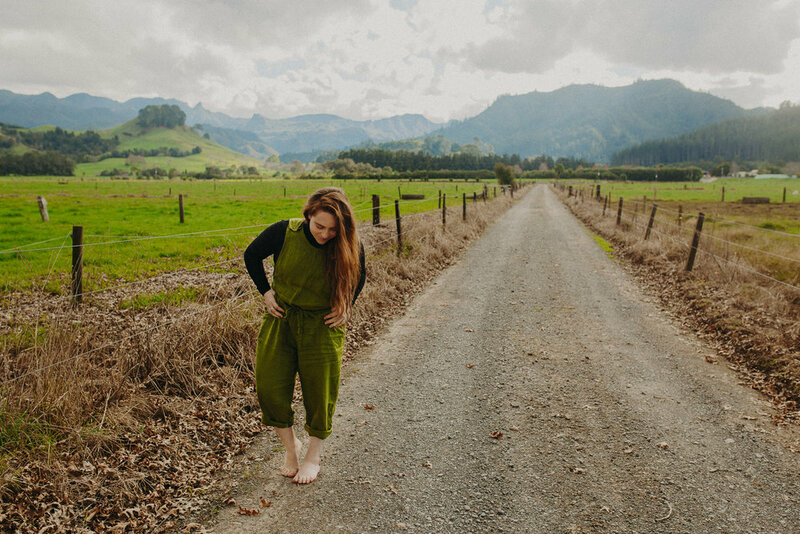 Skipping over to New Zealand for today's outfit post, because I couldn't wait to show you this linen jumpsuit! It's made by the talented family behind Not Perfect Linen, in Lithuania, and it turned out even prettier than I had imagined. The beautiful, green shade was exactly what I needed for my New Zealand trip, as it matched the landscape so well. Plus, it is incredibly comfortable—making it the perfect outfit for curling up on the seat of the car, for a long drive. This is actually my second jumpsuit from Not Perfect Linen. The first being the black one I wore to Disneyland, last year! I love both pieces and see many more in my future. This day was amazing, and having my linen jumpsuit to experience it in made it even better. 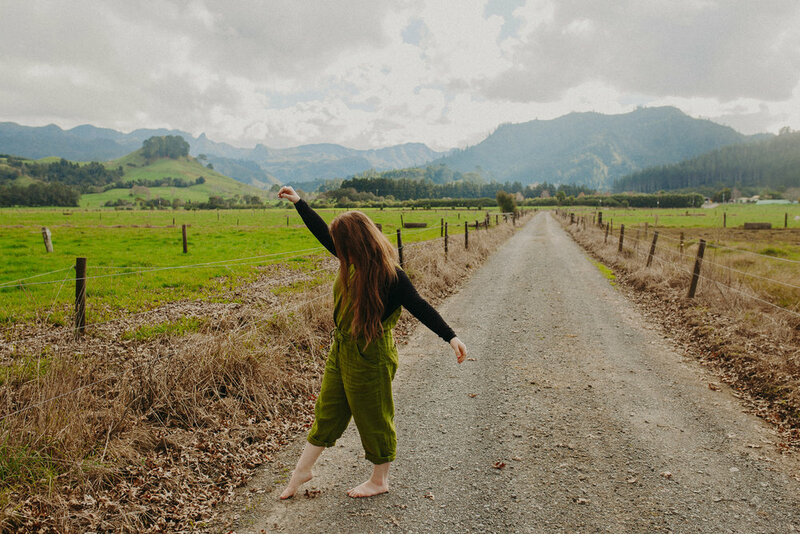 I was feeling ready to run off into those distant mountains—hair flying behind me, the earth under my bare feet, and the fresh New Zealand air filling my lungs. Of course, rather than running away, I hopped back into the car, and watched as the landscapes of my dreams passed by, becoming real life memories.